Killer Characters: Yule Get a Kick Out of This! Yule Get a Kick Out of This! For Christmas this year, all I want is one perfect hour in the company of loved ones. But during the remaining 23 hours I’ll gladly take piles of presents. • “Boardwalk Empire” on DVD. That lizard-like Steve Buscemi fellow doesn’t strike me as much of a bootlegging gangster, but then again I’d prefer he didn’t strike me whatsoever. Still, this has been a very popular series and a wonderful vision of the Prohibition period. • Cocktail shaker. Nothing adds to the holiday spirit more than...holiday spirits! 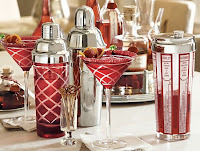 And, you’ll need a good cocktail shaker if you want to shake up a good cocktail party. • Cloche hat. It’s lovely to see one of my favorite styles of hat come back into vogue. I tried on a new cloche hat at one of your mammoth suburban boutiques (the place was called Wal-fart or some such obscene thing). But the hat was too small—too cloche for comfort. • “Prohibition” on DVD. This was a wonderful PBS documentary (by Ken Burns) about a terrible idea: Prohibition. Of course, they say the best gifts don’t come from a store, but from the heart. They also say money can’t buy you happiness. Well, who gives a damn what they say—I’m willing to give it the old college try. Happy Holidays! 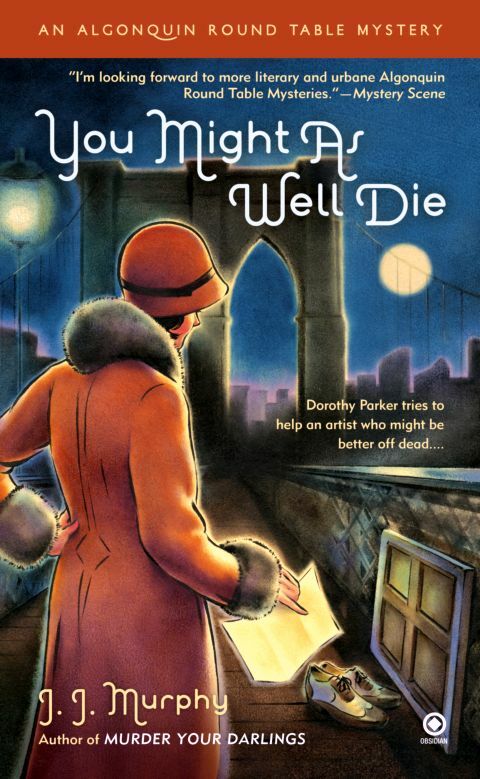 Dorothy Parker returns in YOU MIGHT AS WELL DIE, now available. She also appears in the short story HAIR OF THE DOG: An Algonquin Round Table mini-Mystery, available on Kindle and Nook. One more pun, Ms. Parker, and you may get a kick! Hilarious! And some pretty good tips, too. Thanks! Jazzy cocktail shakers... I'll take a vodka martini, please!! Vodka martini, Victoria? How about gin instead? Did you know some distillery just put my name on their gin? A lovely compliment--but I prefer Scotch! I love your shopping tips, Ms. Parker! Pass me one of those gorgeous martini glasses in the picture, please!